Karachi’ Jinnah International Airport came under attack overnight from armed gunmen who were intent on hijacking an aircraft. The attack has been stopped and no aircraft were hijacked. According to CNN, “the Taliban-claimed attack began on the country’s largest airport at Karachi, Pakistan on Sunday night (June 28), which left 28 dead — including 10 attackers — and 24 injured”. According to Reuters, “The main goal of this attack was to damage the government, including by hijacking planes and destroying state installations,” said Shahidullah Shahid, a Taliban spokesman. Parts of the airport terminal were on fire. Karachi Jinnah International Airport is the secondary hub of PIA-Pakistan International Airlines. 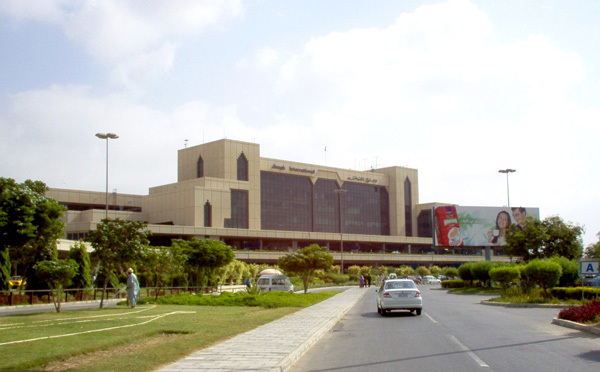 Jinnah International Airport (IATA: KHI, ICAO: OPKC) is Pakistan’s largest international and domestic airport. Located in Karachi, the largest city and capital of the Sindh province, it is named after Muhammad Ali Jinnah, the founder of Pakistan according to Wikipedia. Copyright Photo: OgreBot. The main terminal at Jinnah International Airport. This entry was posted in PIA-Pakistan International Airlines and tagged Jinnah International Airport, Karachi, Karachi Jinnah International Airport, Pakistan, PIA-Pakistan International Airlines on June 9, 2014 by Bruce Drum. PIA-Pakistan International Airlines (Karachi) had an incident today at Muscat, Oman. Boeing 737-33A AP-BEH (msn 25504) operating flight PK 259 from Sialkot, Pakistan to Muscat suffered a rough landing on its arrival. The left main gear collapsed on landing. There were no injuries to the 108 passengers and crew members on board. Copyright Photo: Paul Denton. AP-BEH is pictured arriving at Dubai in 2010 before it was repainted in the current 2010 livery. This entry was posted in PIA-Pakistan International Airlines and tagged 25504, 737, 737300, 737340, APBEH, aviation, Boeing, Boeing 737, Boeing 737300, Dubai, DXB, pakistan international airlines, PIA, PIA-Pakistan International Airlines, transportation on February 11, 2013 by Bruce Drum. PIA-Pakistan International Airlines (Karachi) appears to be getting some new leaders in key leadership roles from retirees from the Pakistan Air Force according to this article by The Nation. This entry was posted in PIA-Pakistan International Airlines and tagged PIA-Pakistan International Airlines on March 2, 2012 by Bruce Drum. 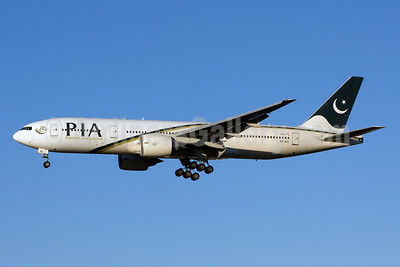 PIA-Pakistan International Airlines Boeing 777-340 ER AP-BID (msn 33780) LHR (Antony J. Best) (new livery), originally uploaded by Airliners Gallery. PIA-Pakistan International Airlines (Karachi) and Boeing (Chicago) today announced a firm order for five 777-300 ER (extended range) airplanes. Valued at nearly $1.5 billion at list prices, the order also includes purchase rights to Pakistan International Airlines for five additional 777-300 ERs. 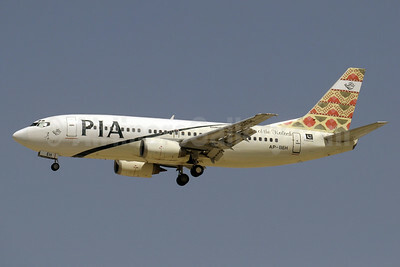 This entry was posted in PIA-Pakistan International Airlines and tagged PIA-Pakistan International Airlines on February 20, 2012 by Bruce Drum. PIA-Pakistan International Airlines Boeing 737-340 AP-BCD (msn 23297) DXB (Ole Simon), originally uploaded by Airliners Gallery. PIA-Pakistan International Airlines (Karachi) has dropped the twice-weekly Karachi-Colombo (Sri Lanka) route. This entry was posted in PIA-Pakistan International Airlines and tagged PIA-Pakistan International Airlines on January 30, 2012 by Bruce Drum. PIA (Pakistan International Airlines) Boeing 747-367 AP-BFW (msn 23221) (Lahore-Garden of the Mughal) LHR (Antony J. Best), originally uploaded by Airliners Gallery. 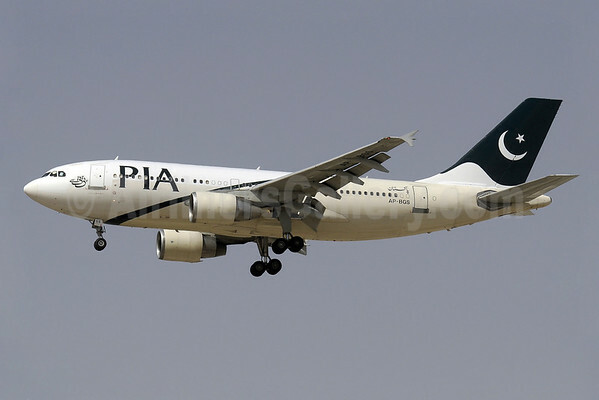 PIA-Pakistan International Airlines (Karachi) flight PK 3539 carrying 493 Hajj pilgrims and 15 crew members from Multan to Jeddah, aborted its takeoff due to fumes in the fuselage. There were no injuries. The fumes were blamed on a faulty hydraulic system. Pakistan International is retiring its last remaining Boeing 747-200/300s in December. This entry was posted in PIA-Pakistan International Airlines and tagged PIA-Pakistan International Airlines on October 20, 2011 by Bruce Drum.